The White House today offered a more detailed look at President Obama's itinerary for his historic visit to Cuba next week and the trip to Argentina that will follow. Accompanied by First Lady Michelle Obama and their two daughters, as well as the President's mother-in-law, Obama will arrive in Havana Sunday afternoon, March 20. With his family he will tour Old Havana, including the Roman Catholic cathedral there, where the President will be met by Cardinal Jaime Ortega, who helped facilitate negotiations that led to the normalization of U.S.-Cuba relations in December 2014. Monday, March 21, Obama will lay a wreath at the Jose Marti memorial, then meet Cuban President Raul Castro to discuss the progress of normalization. White House officials confirm Obama will not meet with Castro's older brother, former Cuban leader Fidel Castro. After meeting with Raul Castro, Obama will then attend a gathering of Cuban entrepreneurs as well as U.S. and Cuban-American business leaders. That evening, he'll attend a state dinner at the Revolutionary Palace. 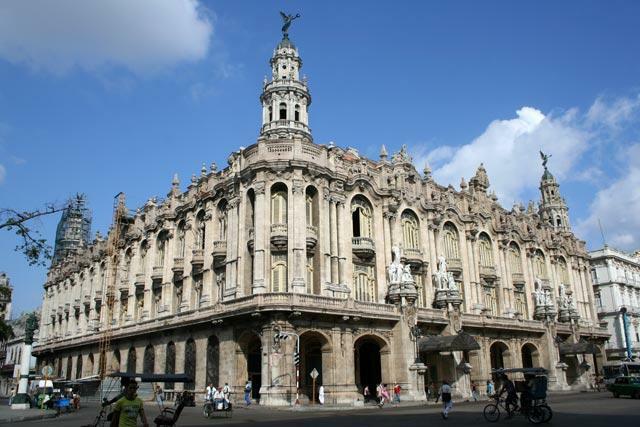 Tuesday morning is slated for what Obama aides call the most important event of the visit, a speech "to the Cuban people" delivered by Obama at the Gran Teatro de la Habana Alicia Alonso. Aides say they expect the speech - in which Obama will address the issue of Cuba's human rights record. among other matters - to be broadcast island-wide, and that so far Cuban officials have not objected to that. After that speech, Obama will meet with members of Cuban civil society, including rights activists (whom the White House has not yet named). Before leaving Havana on Tuesday, Obama will attend a baseball game between the Tampa Bay Rays and the Cuban national all-star team. Miami Beach Mayor Philip Levine will also visit Cuba next week, marking the first time a Miami-Dade County mayor has traveled there. From Havana, Obama and family will fly to Buenos Aires, Argentina, where they'll be met by recently elected President Mauricio Macri. It will be the first bilateral visit by a U.S. president in almost 20 years - and comes the same week Argentina observes the 40th anniversary of a U.S.-backed military coup that sparked the country's infamous Dirty War, which murdered thousands of mostly young leftists. So as not to be present in Buenos Aires on Thursday March 24, the actual anniversary - protesters said it would be an affront to Dirty War victims' families - Obama will make a visit to Bariloche in southern Argentina.